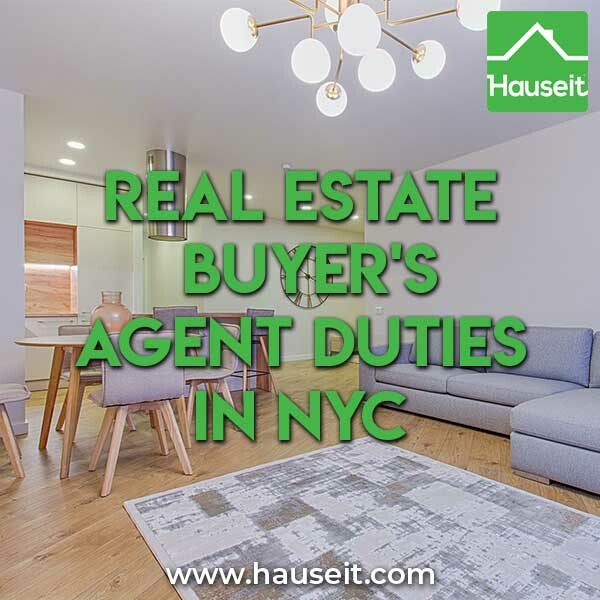 What are a buyer’s agent duties in NYC? What is expected of them vs the listing agent? Who puts together the purchase application? Your experienced buyer’s agent will have a frank discussion with you about what you hope to achieve and to figure out what your ideal home looks like. Because our veteran partner agents are home owners and investors themselves, they’ve gone through the process and will know what common pitfalls to watch out for and what features are worth paying up for. For example, is it really worth putting 20% of the purchase price into a gut renovation post purchase? Will that be reflected in public records and your future sale price? One of the most important buyer’s agent duties is guiding the buyer through the complex home purchase process. You’ll need a mortgage pre-approval letter as a first step if you’ll be purchasing with financing. This is super important as it’ll show all parties that you are serious about your purchase. 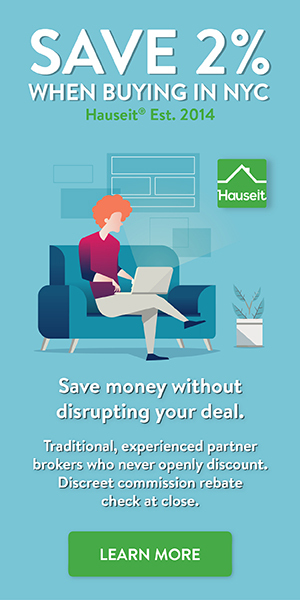 Our partner agents will also have a frank discussion with you about what estimated closing costs will be and what a realistic budget looks like for you. If you haven’t already been pre-approved for a mortgage, your buyer’s agent will refer you to competent mortgage bankers. Your agent will explain how important it is to have legal representation in NYC real estate transactions. This is because the contracts here are long, customizable and negotiable. If you don’t already have a real estate attorney, you buyer’s agent will refer you to several great real estate lawyers in your area. Your buyer’s agent will also ask you to fill out a REBNY Financial Statement which will be necessary for offer submissions. This is simply an Excel form that lists your assets, liabilities and net worth. A similar statement will be necessary for your purchase application anyway if you end up buying a co-op. Our partner agents are all part of REBNY Member Firms which means they’ll have access to the city’s largest property database and will be able to provide you with full access to virtually every available listing in NYC. Furthermore, you can count on our veteran buyers’ brokers to give you full exposure to NYC’s home inventory without any of the traditional conflicts of interest that plague the industry, such as discouraging you from looking at listings which don’t offer a high enough buyer’s agent commission. One of the most traditional buyer’s agent duties in NYC is to search for and send listings to the buyer. This is a luxury for a busy working professional who can simply review handpicked listings that are both still available and match what he or she is looking for. You essentially would have a concierge who will browse property databases for properties that are exactly what you are looking for! Better yet, a buyer’s agent can help you screen for more complex considerations such as a building’s sublet policy, status of Local Law 11 (FISP) compliance and the nature of the building’s board package process. Prefer to search on your own? That’s perfectly fine and quiet normal these days with every listing being available to the general public on popular real estate search websites. You are free to attend open houses on your own and write down your agent’s contact information on the sign in sheet so you don’t get annoying follow up calls and emails from listing agents. If you see a property that’s not having an open house, simply send the property links to your buyer’s agent and he or she will schedule a private showing for you! One of the traditional buyer’s agent duties involves escorting the buyer to private showings. This custom actually works because it forces at least one real estate professional to be accountable for the buyer showing up on time or at all. The buyer agent’s reputation and time is on the line. Furthermore, since the buyer’s agent is earning the co-broke, the seller’s agent wants to make sure that the buyer’s agent actually works for it. One of the most useful buyer’s agent duties in NYC is gathering intelligence from the listing agent about the seller’s expectations and timing, previous offers received and any other color that will help you submit the optimal offer price. Additional strategies used by your buyers’ agent may include a comparable market analysis. This research allows them to compare your target property against similar units which are either on the market, recently sold, or currently under contract in the same neighborhood. Your buyers’ agent may also analyze the current macroeconomic environment, including current interest rate conditions, regional economic data and unemployment figures, mortgage applications and home starts data, as well as the current regional volume of home sales to refine your bidding strategy in the context of the actual ‘strength’ of the underlying economy and real estate market. Once your offer has been submitted to the listing agent, there will likely be period of negotiation where the buying and selling parties will engage in deliberations to discuss the specifics of the deal including purchase price and other considerations (contingencies, timing, etc.). Your offer may not be the only one submitted. In the event that there are multiple competitive offers including your own, the listing agent may open up a second round bidding process or best and final offer auction process. Throughout this process, our partner agents will ensure that you remain vigorously in front of the seller and listing agent to maximize your chances of success and acceptance of your offer. Once you receive the news of an acceptance, the listing agent will usually begin coordination for the closing process by circulating a deal sheet for both the buyer and seller and their attorneys. Your buyer’s agent will manage this process for you. Your real estate attorney generally takes over the process once your offer has been accepted and a deal sheet circulated. Buyer’s agent duties in NYC are greatly diminished during the closing process since attorneys are involved. Your real estate lawyer will negotiate the specifics of the contract with the seller’s counsel; moreover, he or she will perform comprehensive due diligence on the legal and financial history of the building and particular unit you are purchasing. As soon as the negotiation and diligence is complete, it will be time for you to sign the contract for your NYC home purchase. The standard market practice is for you also to deposit 10% of the purchase price into escrow (usually held by seller’s attorney) at the time of signing. If you are financing, this will be the time for you to submit the contract to you mortgage banker in order to finalize the process of securing your home loan. Once your contract is signed, your buyer’s agent will help you to prepare your application and materials to be submitted to the board of the co-op or condo building you are purchasing a unit in. While the process is much more challenging for co-ops, it’s important that you treat either application as professionally as possible when buying a house in NYC. We will ensure that your application represents your candidacy in the best possible light. Once you’ve been approved by the board and a closing date has been scheduled by your lawyer, you and your buyer’s agent will perform a final walk-through / inspection of the unit. This is an opportunity for you to identify any issues which have arisen since the contract was signed and an important step when buying a house in NYC. We will help you inspect things such as the fixtures and utilities to make sure that they are all in working order. At closing, your attorney will present you with the requisite list of documents for you to review and sign. After signing the documents and receiving confirmation from your bank that the loan has been funded (if you are financing the purchase), your home purchase will officially be ‘closed’. At this time, you will receive the keys to your new home and a buyer’s broker commission rebate check from our partner agent!